Donald Trump reacts to the press. Donald Trump has closed two US business councils after bosses quit over his handling of the violence in Charlottesville at the weekend. Interestingly, not a single member of his Evangelical Council – representing religious organisations – felt the need to protest in the same way. 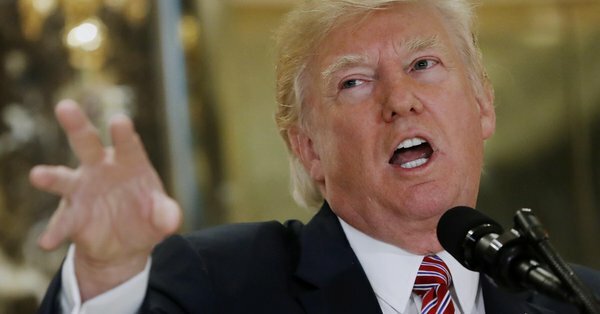 The heads of 3M, Campbell Soup, Johnson & Johnson and United Technologies announced their resignations on Wednesday, after Trump backtracked on his condemnation of neo-Nazi racism and blamed protesters against it as well, in a press conference on Tuesday. The BBC reported that “JPMorgan CEO Jamie Dimon, a member of the Strategy and Policy Forum, released a separate statement on Wednesday saying he strongly disagreed with Mr Trump’s recent statements, adding that ‘fanning divisiveness is not the answer. Constructive economic and regulatory policies are not enough and will not matter if we do not address the divisions in our country. It is a leader’s role, in business or government, to bring people together, not tear them apart’. Exodus of CEOs from Trump support as they fear boycotts of their products by anti-racist public, could lead to President Pence. Trump was seeing CEOs flee his Manufacturing Council, so he disbanded it. Bet his dad canceled his bday parties, too, when no kids RSVPed. But the really interesting aspect of this is the fact that not one representative of organised religion in the US has resigned from Trump’s Evangelical Council, despite the threat represented by the rise of the neo-Nazis. Not a single member of Trump's Evangelical Council has resigned. We have learned corporate America has a greater moral compass. So so sad. Either way, President Trump has raised serious questions about his own appropriateness to remain President. Leading figures of the US entertainment world have called for his impeachment. Can the politicians be far behind? The ordinary clergy were much more brave than the “might damage sales” businessmen – though I am glad they took the action they did. Please don’t use sweeping generalisations (religious leaders – all of them? ), though, it isn’t fair on the majority, and it is an alt right tactic. You’re accusing me of being “alt-right”? The clergy on the ground are not the religious leaders on the Evangelical Council. It is the leaders who must be seen to stand up and be counted – as the business leaders have – not only the clergy at ground-level, so to speak. You have created a false equivalence. Please stop.